State lawmakers are sponsoring legislation to repair financial and enrollment issues threatening the sound operation of Sussex County’s largest high school. Four years ago, the leaders of Sussex Technical High School began a dramatic increase in the school’s enrollment. The student body jumped from 1,295 in Fiscal Year 2011 to 1,545 today. Meanwhile, the growth of the school’s tax base – Sussex County property evaluations – slowed dramatically and failed to support Sussex Tech’s aggressive expansion. According to a report issued in late 2013 by the Sussex Tech Tax Rate Review Committee, annual growth of the county’s property valuations dropped from 7.7 percent in 2006 (the highest rate in more than 20 years) to an annual average of less than 1.6 percent from 2010 through 2013. The amalgam of higher expenses and slack revenue growth led to a sharp decline in the school’s cash reserves as administrators tapped the surplus to balance the books. In FY 2011, Sussex Tech had $5.17 million in unencumbered cash. By the end of the current budgetary cycle on June 30th that reserve is expected to be less than $1.25 million. Sussex Tech’s expansion came on the heels of 19 percent property tax hike phased-in over three years*, culminating in FY 2010 with a new rate of 23.5 cents per $100 of assessed value – the highest levy allowed by law. 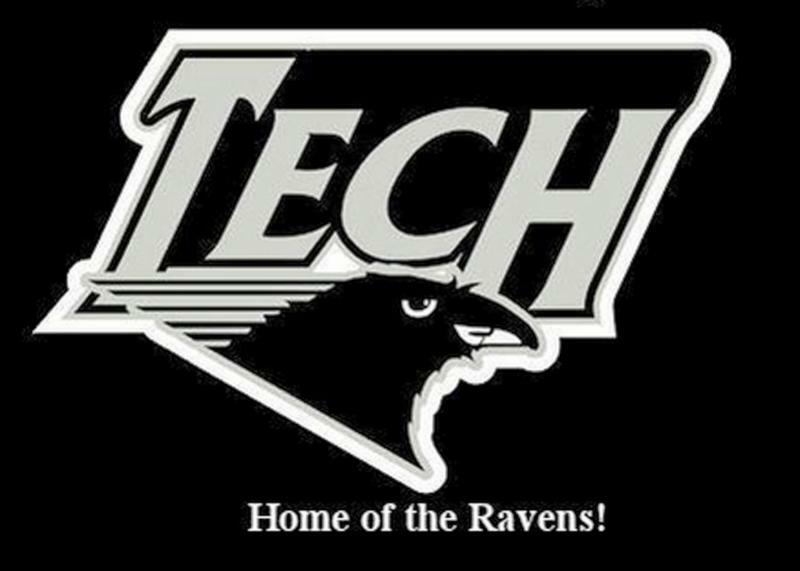 Sussex Tech officials’ vision was for the school to serve 20 percent of the county’s high school-age students by 2020. Based on population and demographic projections, meeting that goal would have raised the student population to 2,120. District officials responded to the school’s growing fiscal disparity by pressing the General Assembly for authority to hike taxes again. This time, Sussex Tech wanted an increase of more than 114 percent over six years, topping out at a new rate of 50.5 cents per $100 of assessed value. Additionally, according a recent report commissioned by House Concurrent Resolution 2, Sussex Tech’s growth would have required the construction of new facilities costing between $280 million and $316 million. Under a plan on file with the Department of Education, Sussex County property owners would have been saddled with additional tax hikes to finance the local share of the project, estimated to be $112 million to $126 million. The consensus legislation filed in the State House of Representatives Thursday seeks to restructure the school’s finances and enrollment, giving the district’s leaders time to make further needed adjustments. The property tax increases would then disappear July 1, 2017 (FY 2018), with the rate resetting to the current 23.5 cents. The legislation also proposes reversing course on enrollment. It would reduce the student population by 295 over the course of the next three academic years, cutting 100 students in 2015-16; 100 students in 2016-2017; and 95 students in 2017-2018. According to the HCR 2 report, if no action is taken, Sussex Tech’s expenses will exceed income by $2.53 million in the upcoming fiscal year and by more than $3.34 million the following year. Rep. Short said the main focus of the Sussex delegation’s work on a bill was ensuring the continued, effective operation of the school. He said they also saw an opportunity to address several inequalities that have long drawn criticism from the county’s other public school districts. Three of the bill’s reforms impact how students are selected to attend Sussex Tech. 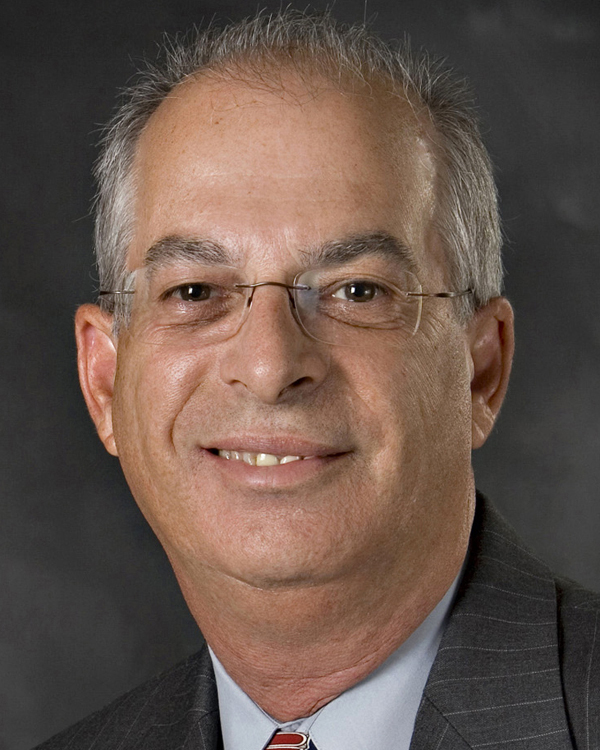 The bill would also prohibit Sussex Tech from excluding from consideration any freshman class applicant eligible for promotion to the 9th grade. If Sussex Tech administrators wish to return a student to his or her original school district for disciplinary reasons, the bill would prohibit them from doing so without the consent of the student’s parents and officials in the home district. Lastly, the bill seeks to eliminate one aspect of so-called “legacy” selections. Currently, the sibling of any current or prior Sussex Tech student is given preference for admission. The bill would only allow such a preference if the sibling of an applicant was currently enrolled at the school. Both Reps. Schwartzkopf and Short stressed an existing labor contract with the school’s teachers prevented legislators from any consideration of altering Sussex Tech’s salary structure, which is among the most generous in the state. In fact, Sussex Tech teachers will receive a three percent raise in the upcoming year, the last year of the labor agreement. While conceding the bill will not please everyone, Reps. Schwartzkopf and Short said it does provide a reasonable path for returning the school to a firm financial footing. “This bill protects students’ futures while giving the superintendent and school board the time they need to consider carefully the difficult choices they will be weighing,” Rep. Short said. The sponsors say they intend to work quickly to enact the proposal. There are reportedly more than 700 applications pending for admission to the next fall’s freshman class. Consideration of those applicants, as well as other decisions that need to be made in advance of the new academic year, have been in limbo pending resolution of the school’s difficulties. The chair of the House Education Committee, State Rep. Earl Jaques, D-Glasgow, said his group will hold a hearing on the measure April 29th. * Jumping from 19.71 cents per $100 of assessed property value in FY 2007 to 23.5 cents in FY 2010. ** While observing existing state law that ensures students from any one of the county’s public school districts are not disproportionally represented at Sussex Tech. 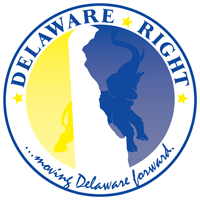 The above is a news letter for the Delaware House of Representatives explaining HB 100, a bill intended to temporarily solve Sussex Tech’s financial issues. First let me say that while I am not completely satisfied with this bandage approach to the issue, I do recognize the rock and a hard place that legislators are in, in regards to this issue. I understand that Legislators are being pressured by voters in their respective districts to strangle Tech out of existence, that the same people who vote no on every referendum within their home districts, now want to punish Sussex Tech for being successful. We have long heard from those who oppose Tech about wasteful spending, yet no mention is made of wasteful spending in the above letter. What is alleged, is that Tech had the audacious nerve to increase the number of students that could attend Tech, and receive a better education than they might have at their home districts. I have to admit, I had been making the argument to allow Tech the increase in the tax cap without actually knowing how much it would cost the average tax payer in Sussex County. Now that I know that the increase will cost the average tax payer $10.47, I am astounded that so many people have been acting as if the cost would be in the hundreds, if not the thousands. It leads me to further believe that what is really happening here is on one level simply people who oppose any and all provisions to support education, and on another level it is simple district jealousy. While I am happy that Tech will not need to cut jobs at this time, I am truly troubled by the fact that this bill actually mandates that fewer students will be allowed the opportunity of a better education than they might receive in their home districts. This bill forces Tech to reduce below 2011 numbers, one has to imagine that the number of student in Sussex County has increased since 2011, so why would the Legislature mandate that a High School that serves the entire county, not be allowed to increase at the same pace? While HB 100 may have been the best the Legislature could do in their view, I feel that at the very least Tech should be allowed to maintain their current enrollment levels during this two-year period. To be assessed at the end of the two years the same as the financial side of the issue. No law restricts other districts on how many students they can have if the population grows, so again, why would we restrict a county-wide school from keeping pace. This attitude will actually make the number of students able to attend Tech even more out of touch with the rest of the county. I cannot stress this enough, I have yet to hear from parents of Tech students, current or past, that have negative feelings about Tech. The opposition comes from people who have no experience with the school and the excellent education it affords its students. Why would we not want to expand the number of students who can take advantage of this? 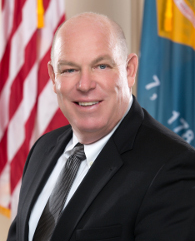 I hope that Tech alum will take these two years to work to support and educate others as to why it is important to not allow penny wise, dollar silly people, to strangle what has become one of the best educational options for students, not only in Sussex, but within the state of Delaware. Can we really justify lowering to the lowest common denominator based on a yearly increase that wouldn’t buy you two McDonald’s Value Meals? You sound like a bleeding liberal here and a little biased. Do you have a kid that goes to or went to Tech? Here’s why I am against this bill. #1 We are rewarding the irresponsible and punishing the responsible. Everyone knew we were in a crunch with property taxes since at least 2007. Yet, Tech still grew and hired. They also are top heavy in Administration even with lobbyists. The politicians are just as guilty. They are in a way overseers of this school. #2 We were promised sunset taxes with income. Do you really think we will see that here? No. In two years, like every state department, Tech will come back and say it wasn’t enough. We need more of an increase. This is the state way. It is time to squash that thinking. They are still pursuing purchasing land and building a new school. #3 According to the DOE, Tech spends about $3,000-$4,000 more than any other school district per student in the county. They even spend more than PolyTech. Therefore, I do not think they spend their dollars wisely. #4 Where’s the data to support a funding increase? Students may perform better on state testing but that could be the base they have. What is our Return on Investment compared to other schools? Who is coming back to Sussex, getting a job and starting a family? Who is putting back into the coffers? #5 If Tech is so important to jobs why aren’t we turning it back into a vocational school? Lets give kids a trade to go straight into the workforce when they graduate. Manufacturing, carpentry, HVAC, CNA’s, Mechanics, Culinary, Etc. Joe, wish you could have started the conversation without the name calling, but I will address your points anyway. First let me say, you sound like someone who has no real experience with Tech. Yes my daughter went to Tech. 1. Yes Tech grew and hired, and as a school that serves the ENTIRE county why shouldn’t it keep pace with the increases in enrollment that the home districts saw during the same period? 2. Only time will tell. 3. If you had actual experience with Tech you might have a different opinion of the value of the money spent. You don’t get a steak dinner at McDonalds prices. 4. Same as 3 and the need for more funding is to support more students receiving a better education. 5. As for what Tech teaches, well in my view it should offer what the parents and students are looking for, and should not be government deciding what jobs are available. I have no objection to the tax increase. What I object to is that Tech is the ultimate authority on whether it expands or contracts, increases enrollment, determines the salary structure, determines the curriculum, pretty much decides who it accepts, rejects, or expels. In short, there are no checks and balances and the people who pay the bills are pretty much left without a voice, whether it’s in the form of board members or referendums on tax increases. I think the oversight is inadequate and has effectively created a dual system where the regular schools are hamstrung by regulation, oversight, state and local control and Tech getting free rein (or reign, which seems to also fit). Tech has done good things. So there is much to be said that is positive for that model. But there is also a balance that must be maintain, between what they want to do and what we can and will support. If Tech is the perfect model, we should ask why that model is not being applied to every school K-12 in the county and indeed in the state. Frank, I’m just being honest with you. You were a lot better before you got intertwined with the big political machine. The liberal view is more money to education means a better education. That is false. Statistics actually disprove that. It’s more curriculum based. Most of the money going to the schools is actually eaten up by salary’s. There aren’t any statistics (at least public) to my knowledge that can answer my questions I ask. That’s sad. I disagree that the schools should be dictated by just the parents (a lot of which are absent themselves). It should be community based. What does the community need? What do our local businesses need? We need a trained work force. We don’t need kids who graduate high school with no future in college and can’t balance a check book. We used to have a school that provided that training but no more. Give them a pathway. Give them a common sense curriculum. I’m sorry Frank, we disagree here. We don’t see eye to eye on education and that is okay. I know how the state works and I am current with our education system including Tech. I don’t think the increase is justified. I don’t trust this will be sunset. I think this bill is irresponsible to the taxpayers. I also don’t agree with punishing those in the right and rewarding those in the wrong. Unfortunately, the kids may have to pay for it (highly doubtful). But, who caused that? So Joe, do you have any problem with your salary “eating up” ? Dave, it seems that we agree somewhat. As for enrollment increases, shouldn’t a school that is tasked with being available to the entire county keep pace with enrollment increases of that county? Why would we locked down Tech’s enrollment numbers at the 2011 numbers, which is what HB 100 will do, when the rest of the county’s districts have increased? Doesn’t that make the disparity in the number of students able to take advantage of Tech’s opportunity even greater? While I agree that Tech should not be able to just pick numbers out of thin air, there should be a mechanism in place to allow them to grow at the same pace as the rest of the districts. And yes, if that means building a bigger school, then we as citizens should be willing to reward the above average results tech has provided. I also believe that the money that follows a student to Tech, should follow them back if tech releases them, at a prorated level, that is only common sense. Joe, your opinion of my politics really should have no bearing on your opinion of Tech. If you honestly look at my positions over the years you will find I am consistent in my principles, which means that I will sometimes seem inconsistent in my views of individual issues. As to dollars = results, you are right. However in the case of tech we see that this school has provided above average results, so why wouldn’t we support a tax increase to allow MORE students the benefit of those results? As for this statement, “I disagree that the schools should be dictated by just the parents (a lot of which are absent themselves). It should be community based.” First off, do you have any numbers of tech parents that are absent? In my experience I have found that the majority of tech parents are highly motivated and involved in their child’s education, that is exactly why they go to the trouble of getting their students into tech. Second, if a school only offers, ” What does the community need? What do our local businesses need? We need a trained work force.”, but the parents and students want something else, we will end up with empty class rooms. What would the point be? See again, I am applying my free market principles to this problem. You cannot force people to be what you want them to be in a free society. However, at some point plumbers and electricians will be in such high demand that the wages will increase and those jobs will again become preferable and the schools will then need to supply those needs. does one high school need a? there are no links for contact information for these positions on their website, but the numbers are accurate. Salty, Tech is the largest high school in Sussex. Not sure it’s apples to apples. And the increase they are asking for is related to enrollment increases. Salaries of administration seems to have been used as a tactic to ramp up opposition. I think for a school of its size, the first group of positions seems reasonable. However, a principal and 3 assistant principals seem odd. Of course if you have sports you really do need an AD. As far as counselors are concerned, I would think that there is some sort of ratio of students to counselors. Considering the enrollment at Tech, that’s about 400 students per counselor. I suppose it depends on what counselor does in order to determine if that ratio is adequate or inadequate. check out the district office staffs of districts with 9-12 schools in the county. they are virtually the same. the building level staff looks to be in line with other high schools. why a full district office staff for one school? why don’t the identify contact people on their website? other districts do. Frank, I think the answer is “maybe yes, maybe no.” You have to examine the mission (charter) for Tech to determine the answer. The question would be to what end? Is there a specific percentage of the student population in the county that should be serviced by Tech? Or do they just expand enrollment in whatever manner they see fit? Would it be acceptable for Tech to expand without limits to accommodate each and every student who wanted to attend? What is the appropriate balance for students being served by all the high schools in the county? Tech operates independently of the other schools, yet they draw students from the same area. I would expect to see some plan that identify the student segment they expect to serve and the projected growth of that segment, in coordination with the other schools. Independence with no checks and balances, when I have to pay the bill is not my concept of effective management. Why not? As long as the parents, students are happy, and the results remain positive, why not? We have school choice in all other districts, except Tech. Why would we not want to expand a school that almost everyone admits is successful?